Again, I am using the fabulous Luke 2 Stamp Set. 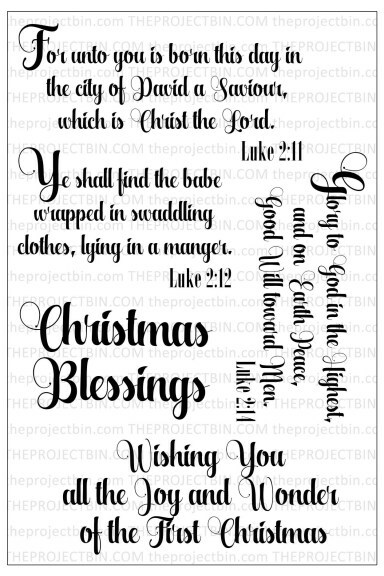 This is a simple card but to me it depicts the true meaning of Christmas! 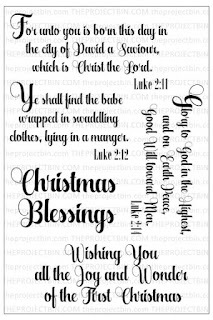 I purchased this fabulous cut file as soon as I saw this beautiful Scripture stamp. The only embellishing I did was to add gold Stickles to the star. The font of this stamp is so lovely! I'm happy to share that this card was chosen as a favorite over at Splitcoaststampers! SO VERY lovely and the real meaning! So beautiful card! I agree with you: that 's the true meaning of Christmas. A beautiful Christmas card Nancy. Lovely Nancy. We just had our Christmas program tonight focusing on this scene of God's love for us. Beautiful work my friend. Hugs! Nancy! I love this! What a gorgeous die cut paired with an elegant verse! Congrats on the fave of the week!!!! I really like it when the sentiment is also a star of the show :) Sometimes simple is best, but you also have to have talent to do simple! :) Super card.